Following the casting news of Kirby Howell-Baptiste yesterday, Deadline reports that Emmy winning stand-up comedian-actor Patton Oswalt (The Secret Life of Pets 2) has been tapped to join in Hulu’s forthcoming Veronica Mars revival. 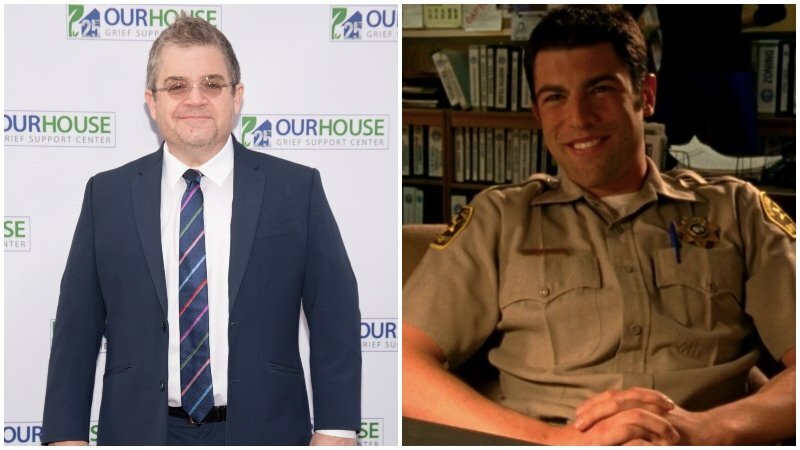 It has also been revealed that Max Greenfield (New Girl) has already committed to reprise his role as Sheriff Deputy Leo D’Amato for the upcoming series which is slated to debut in 2019. Oswalt is set to portray the character of Penn Epner, a talkative pizza delivery guy who has the passion for “true crime.” He is a frequent poster on unsolved murder websites. Penn is affable and a bit hapless, and he’s going to milk his 15 minutes for all they’re worth. Kristen Bell will both star and executive produce, with creator Rob Thomas, Diane Ruggiero-Wright and Dan Etheridge also executive producing. Thomas will also pen the first episode. Jason Dohring (iZombie), Francis Capra (The Strain), Percy Daggs III (The New Adventures of Peter and Wendy) and David Starzyk (Criminal Minds) are all set to return for the revival series.